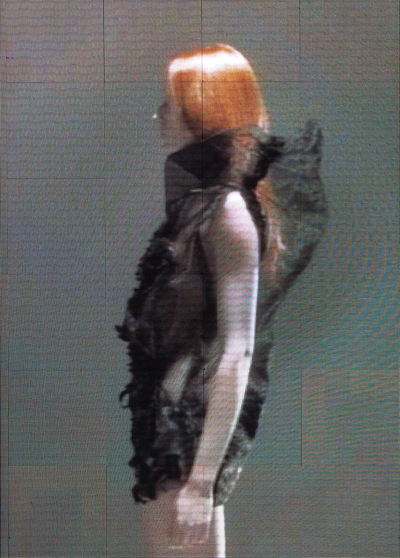 The Celebrity Skin by Dimitris Strepkos and Eleni Barla AW2010/11 show was titled Desireless Humanoid. Then how come we were all filled with desire for what we saw? Gimme that grey gillet/shrawl thingy, I want it! Don't worry Elena, I won't fight you for it. You'll have the black and I'll have the grey one. Deal? I wonder what they're thinking. Bonus just for you, a clip from the finale! Don't forget to visit Life Full of Fashion and Celebrity Skin's official AXDW sponsor Alecca Rox for their views on the show! m aresoun polu ta rouxaa..